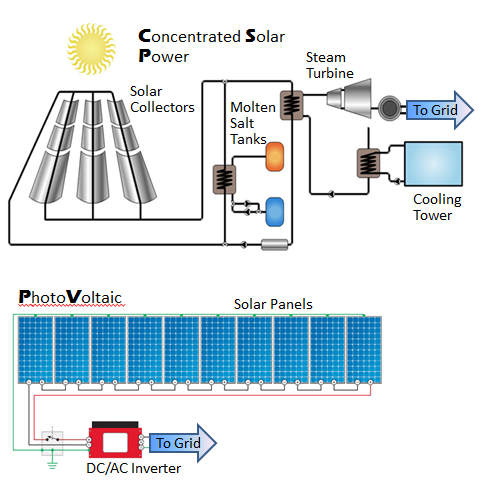 There is an ongoing battle between Photo-Voltaic (PV) solar which converts sunlight into electricity through an electro-chemical reaction and Concentrated Solar Power (CSP) which generates electricity using steam turbines. Based upon the nameplate capacity under development today PV is winning the battle hand's down. Some projects that were originally designed to use CSP have recently been converted to PV. However, there is one very problematic characterisitic of PV that can be avoided with CSP. PV, with its direct dependence upon sunlight, fades in the late afternoon and is not available in the evening when electricity demands peak. CSP, on the other hand, can be equipped with molten salt Thermal Energy Storage (TES) which can be used to extend electricity production well past sunset. The Gemasolar plant in Spain generates electricity 7x24x365, as shown by the production graphs below. The big disadvantages of CSP are cost, complexity of the facilities and the length of time required required to construct them. Typical CSP installations with TES run about $6-8/watt compared to $2-3/watt for PV. CSP requires the installation of thousands of large mirrors as well as construction of a steam generation plant and salt tanks. All of that takes time; typically 2-4 years or more. For example the Solana plant in Gila, Arizona broke ground in December, 2010 and will be completed in August, 2013. CSP facilities like Solana and Gemasolar divide the solar energy received into two streams. Part of the energy is used to heat molten salt for energy storage and part is used to produce steam for the turbines that generate electricity during the day. But what if 100% of the energy was used to heat molten salt? That way a much smaller and less expensive facility could be used to generate electricity using the energy stored in the molten salt into the evening and all night if necessary. Less expensive PV could be used to supply the electricity needs during the day. Using this approach would produce the most cost-effective, 100% solar solution possible. All of the grid connectivity and transmission infrastructure could be shared by the two generating sources. In many parts of the world, including the Southern U.S. this one-two combination of PV during the day and CSP at night would make a lot of sense. 30-Nov-2015: Update: I came to the conclusion that PV + CSP was an optimal configuration on my own in 2013. However, I have recently found out that NREL wrote a paper discussing the advantages of this combination back in 2011. It is a very comprehensive and convincing analysis. Your Speed – 32 mph – Slow Down! Have you ever driven past one of those radar speed signs that indicates how fast you are going and flashes a warning if you are speeding? If yes, did it cause you to slow down? If you answered yes to both questions then you are in the majority when it comes to driving behaviour. More and more cities and towns are spending significant amounts of money to install these signs because they are very effective at reducing average traffic speed. It is worth giving some thought to why that is. In every case the radar sign is replacing a simple metal sign that clearly indicated the maximum speed allowed. So there was no confusion about what driving behaviour was expected; and yet the signs were often ignored. But when radar signs are installed drivers tend to adhere more closely to the speed limits. There have been numerous studies on this topic and the consensus is that these signs increase our awareness of how we are behaving. In other words, it is not that we are unwilling to drive within the speed limit – it is just that we are not aware of the fact that we are speeding. You might expect that the effectiveness of these signs would diminish over time as people get used to where they are and come to realize that speeding tickets are not generated by these signs. But the exact opposite is true. The longer one of these signs exists at any particular location, the more effective it is at reducing traffic speed. The graphic below shows results from a study conducted by the City of Bellevue, Washington after more than 10 years experience with these signs. So what does this have to do with energy use and conservation? I think that the main reason that we are not more consistent about energy conservation is that we are not aware of how much energy we are wasting on a daily basis. Lights get left on, clothes dryers get run in the early evening, thermostats are not programmed to reduce heating and cooling when houses and offices are not occupied. Making the public aware of energy usage in real time has been one of the tools used in post-Fukushima Japan. Energy usage is reported through the media on a color coded scale similar to the U.S. Terrorist Threat warnings; green is less than 90% of capacity, yellow indicates that 90-95 percent of capacity is being used, orange tells customers that they are using up to 97 percent of available capacity. 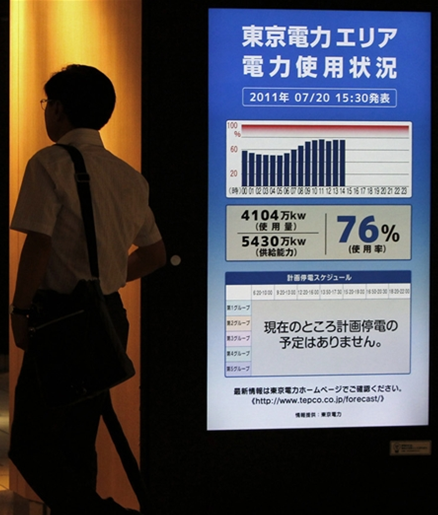 Japanese office and factory workers cope with thermostats set at 83 degrees Fahrenheit in the summer and verbal alarms are issued on office intercoms when energy usage within a building is exceeding targets. The result of all this public education was a 15% reduction in electricity demand the first summer after safety concerns shut down 50 of the 52 nuclear reactors in Japan. This reduction in electricity usage could not be sustained in 2012 as consumers grew weary of hot and sticky summer days and cold winter nights. Even so, peak demand was still reduced by more than 10% as compared to pre-Fukushima years. Only time will tell if energy conservation is the new norm in Japan. But it seems likely that there will be at least some long-term impact on energy demand, particularly at those peak times for a few weeks in the winter and summer. The lessons to be learned from radar speeding signs and the approach to public awareness regarding electricity usage in Japan are clear. The behaviour of the general public can be changed. But it takes a very visible and consistent communication strategy to bring about the change and sustain it over the long term. Finally, if you really want to know what life will be like if we don’t get our act together in terms of conservation and the development of utility-scale energy storage solutions you might want to check out the Toyko Electric Company instructions on what to do during a “blackout”. In an earlier blog posting I discussed ways that residential and commercial electricity consumers can reduce their draw on the utility grid either by generating some of their own electricity or by using geothermal heat pumps (now more commonly referred to as geoexchange systems) to provide heating and cooling. Because space heating in the winter and air conditioning in the summer represent the most significant drivers for peak electricity demand the ability to use the energy stored in the earth to “clip” these peaks is very significant. But how does geoexchange really work? It is somewhat counter-intuitive to think that the ground which is at a temperature of approximately 50 degrees Fahrenheit can heat a home to 70 degrees. In this case the “secret sauce” is the use of a refrigerant, most commonly a substance with the romantic and memorable name R-410A. The boiling point of R-410A is highly dependent upon pressure and varies within a temperature range which matches human comfort zones. By using a closed system with two different pressures it is possible to cause the fluid to evaporate and condense at specific temperatures as shown in the graphic below. The low pressure zone including the evaporator is located outside the home. Refrigerant fluid is at a temperature warm enough to evaporate but needs to absorb heat from the ground in order to make the transition from fluid to vapour (1). During this process the mixture of fluid and vapour warms up to the ambient temperature of the ground, in this case about 50 degrees Fahrenheit. An electrically powered compressor is then used to rapidly increase the pressure of the vapour in order to raise it’s condensation temperature(2). 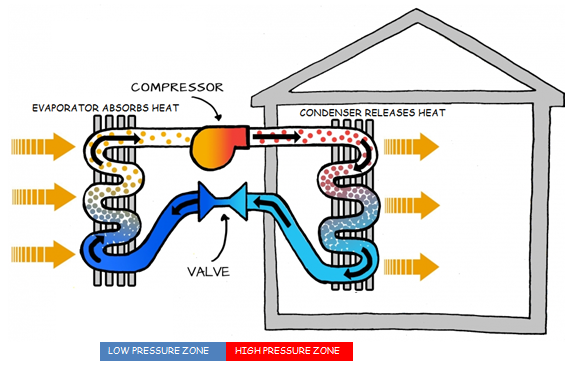 The high pressure zone including the condenser is inside the home and the transition from gas to fluid releases heat into the home (3). During this process the mixture of fluid and vapour cools to the ambient temperature inside the home, in this case about 70 degrees Fahrenheit. The fluid then passes through an expansion value which drops the pressure in order to reduce the evaporation temperature(4). The low pressure produced by the expansion value is chosen so that the R-410A will evaporate at a temperature significantly lower than the ambient ground temperature. The high pressure produced by the condenser is chosen so that the R-410A will condense at a temperature significantly higher than comfortable room temperature. A typical configuration is shown in the graphic below. In cooling mode the flow of the fluid is reversed. The fluid is evaporated by the hot home and the hot gas is compressed to bring it to the upper condensation pressure and temperature. The hot gas is then circulated through the ground where it condenses, releasing heat. The expansion valve is then used to bring the fluid to the lower evaporation pressure and temperature. It is important to note that it does take electricity to run a geoexchange system – for the compressor, one or more pumps for the fluid, and usually a fan to force the warmed/cooled air through the home. However, a system that is designed well and installed properly should be able to deliver 2-3 times as much heating/cooling as a comparable electric system and even more when compared to a natural gas system. So why isn’t everyone doing geoexchange? The main reason is cost. For a typical single family dwelling the cost of installing a geoexchange system is in the range of $25,000, at least twice a comparable furnace/air conditioning combination and probably 3- 5x a furnace only system. Most home-owners are not prepared to make that kind of investment. That’s why I argued in my earlier blog that the local electrical utility should own the geoexchange system (just as they own the traditional electrical distribution equipment like transformers). Costs/home would be greatly reduced if geoexchange was installed for an entire neighbourhood. And regardless of how many times a home changes hands the utility would continue to benefit from a lower electricity demand for decades to come. I personally would like to see building codes modified so that geoexchange was required for every new housing development – just like electricity, water, and sewer services. 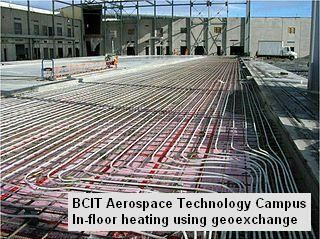 The case for geoexchange in large commercial buildings is even more compelling. Here again short-term cost is the barrier and here again a utility company can make a great long-term return on this type of investment. In the meantime Post-Secondary institutions are demonstrating just how effective geoexchange can be. With multi-building campuses that often already have central heating plants these institutions are in a great position to show leadership with this technology and recent headlines indicate that is starting to happen in a big way. On March 3, 2013 the Board of Governors of the University of Maine at Farmington approved a $1.55 million geoexchange project which will replace aging oil-fired boilers and eliminate the burning of 28,000 gallons of oil yearly. The system will pay for itself in 8-10 years after which both heating and cooling of the campus will be essentially free for decades to come. Perhaps the most encouraging aspect of the UMaine project is that it is built upon past successes with geoexchange. Earlier projects implemented this technology for the education center and a swimming pool and fitness center. February 13, 2013 marked another geoexchange milestone as the Missouri University of Science and Technology closed on funding for a $2.5 million geoexchange project which will provide heating and cooling for 2/3 of the buildings on the campus in Rolla, Missouri. Missouri S&T Chancellor Cheryl B. Schrader stated that “the system is one of the most comprehensive ever undertaken by a college or university”. Post-Secondary institutions in Canada are also making use of geoexchange to reduce campus carbon footprints. The University of British Columbia plans to use geoexchange for its entire Okanagan campus home to more than 8,000 students. In 2007 the British Columbia Institute of Technology formally adopted the concept of transforming BCIT’s campuses into living laboratories of sustainability. Theory was transformed into practical application that year as the new Aerospace Technology Campus was opened incorporating geoexchange and other technologies designed to minimize the environmental impact of this state-of-the-art facility. The concept was applied to the Gateway project which saw a major renovation of one of the most important campus buildings, again incorporating geoexchange. Geoexchange technology has developed to the point where it represents the best solution for commercial and institutional heating and cooling. By reducing the electricity loads that cause almost all of the highest consumption peaks (heating on cold winter days and cooling on hot summer days) geoexchange can “clip” these peaks providing relief to regional generation and transmission systems. Widespread adoption of geoexchange is such an obvious choice that I hesitate to characterize it as a “Black Swan”. However, the potential to dramatically smooth out power consumption curves makes this technology one that could radically change the electricity supply/demand balance – in a very positive way. 17-Apr-2017 Update: A company in Vancouver, Canada is selling a different form of geoexchange which makes use of roof-mounted panels to provide heat by extracting energy from the ambient temperatures outdoors. Can we control our addiction to electricity? Should we? If we really want to make renewable energy a critical component of the electricity generation mix I think we have to honestly face the fact that “instant-on” essentially unlimited power will no longer be the norm. I personally don’t think that is a bad thing, but it is something that deserves thoughtful consideration. We can go a long way towards eliminating the variability of wind and solar by building out large “smart” grids which will use geographic “smoothing” based upon the fact that it is usually windy and/or sunny somewhere. We must also develop and deploy practical energy storage solutions. And we can implement more Concentrated Solar Power (CSP) facilities like the Solana plant in Arizona and which will come on-line in the next 18 months. That facility can provide reliable base-load power for extended periods including well past sunset. The Gemasolar CSP plant in Spain generates electricity 7×24×365. But in the end, having done everything we can to reduce variability in the supply of electricity from renewables we also have to change our usage patterns. 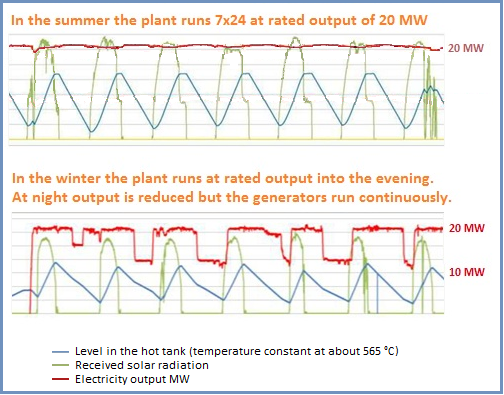 As many observers have pointed out, the real problem with electricity generation comes only for a few hours per day for a few weeks a year; during the coldest winter days and hottest summer days. If we could “clip” this peak demand there would be a far better chance of meeting our electricity requirements using renewables. That is what “Responsive Demand” is all about. In a typical scenario a residential or commercial consumer volunteers to allow a utility to raise the thermstat on a hot day or lower it on a cold day in response to peak demand conditions. In return the consumer usually gets their electricity at a discount. So the trade-off is relatively mild discomfort for predefined savings on the utility bill. In theory this is a great concept and utilities all over North America have been busily installing smart meters and remote control technology to enable “Time-of-Use” (TOU) pricing and Responsive Demand. The problem is, in most cases it hasn’t worked very well. In 2002 the Long Island Power Authority spent $33 million on the EDGE program which involved installation of utility controllable thermostats in 36,000 residential consumer premises. The program was used rarely until 2009 and since that time it has not been used at all. During an extended heat wave in 2011 LIPA defended its non-use of the program by stating that there was no physical shortage of electricity. In other words, they chose to pay very high prices for additional power (costs which all of their ratepayers would actually absorb in the long run) rather than inconvenience consumers that had volunteered to be inconvenienced (for a price). A comprehensive study done for the The National Association of Regulatory Utility Commissioners highlights some of the issues related to “dynamic pricing”. People find it difficult to change usage habits enough to make a difference. Suppers have to be cooked at “suppertime”, people shower and dry their hair mostly in the morning, air conditioners and electric heaters respond to the weather. That is not to say that time-shifting as much electricity usage to off-peak times isn’t valuable or useful. It is. The question is, how much usage can realistically be time-shifted? And can the potential long-term savings for a utility (principally by not having to increase generation capacity) justify the $1,000-$2,000 or more per ratepayer that it costs to implement these systems. Education is key. It is clearly not enough to possibly save $20-$50 month on an electricity bill. With rates rising for other reasons and the electrical appliances in a home changing on a regular basis as we replace old appliances with new I think it would actually be extremely difficult to really see a reduction in costs that could be definitively attributed to time-shifting usage. But doing power-hungry tasks in off-peak times is the right thing to do. We all know that. And we could all probably live with a few degrees shift to higher temperatures in the summer and cooler temperatures in the winter. Oklahoma Gas & Electric’s Smarthours is perhaps setting Demand Response on a more positive track. Supported by a positive Vision Statement and a focused consumer education program the utility was able to clip 72 MW (1%) from a total generating capacity of about 7 GW in the initial pilot project. Most of this reduction was at peak load times which would have required additional power purchases and ultimately would have influenced plans for new capacity additions. OGE hopes to reduce peak load by 210 MW using this program in 2014. In order to achieve a sustainable energy future we will need every trick and tool we can get our hands on. Demand Response is an important one. The state of Hawaii has a problem when it comes to supplying reasonably priced electricity to its citizens. Actually, it has a few different problems. First, because there are no large rivers on the archipelago hydro power is not an option even though there is no lack of rainfall received at high elevations. Second, because the islands are not joined by submarine transmission cables there is no ability to share either supply or demand. Consequently, for reliable, base-load generation each of the major islands has one or more oil-fired steam generation plants. As you might expect, this is an expensive proposition costing upwards of $1.5 billion per year for fuel and resulting in average Hawaiian electricity rates that are almost triple those in the lower 48 states. The use of oil as the primary fuel for electricity generation also makes the residents of Hawaii amongst the highest per capita generators of CO2 in the country. Not exactly what you would expect from a state that is otherwise known for its stewardship of the environment. But wait! The only thing a steam generator really needs is heat to boil water. The Big Island of Hawaii has active volcanoes which generate vast amounts of heat. Why not tap into that geothermal heat source to eliminate the need to burn fuel oil? In fact, that is being done on a relatively small scale. The Puna geothermal facility on the Big Island began operations in 1993 providing 30 MW of electricity which was expanded to 38 MW in 2011. It now produces between 15% and 20% of the electricity for the Big Island. 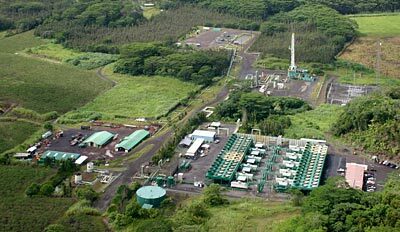 On February 28, 2013 the Hawaiian Electric Light Company (HELCO) issued a final request for proposals to add another 50 MW of geothermal generation. That would seem to be a step in the right direction – but only a baby step. The Geothermal Energy Working Group concluded that the potential for geothermal on the Big Island is at least 500 MW. That would be enough to supply all of the electricity for the Big Island, Maui, and Molokai. And unlike solar and wind, geothermal has the ability to provide reliable base-load power indefinitely. So why is it taking so long to develop a resource which has so many positive characteristics? Geothermal is reliable, renewable, and plentiful. Well, to be honest, it’s more complicated than it seems. For one thing all of the facilities to generate electricity from oil are already in place, paid for many years ago. Electricity demand is slowly going down throughout the Hawaiian Islands as a result of conservation and energy efficiency measures. 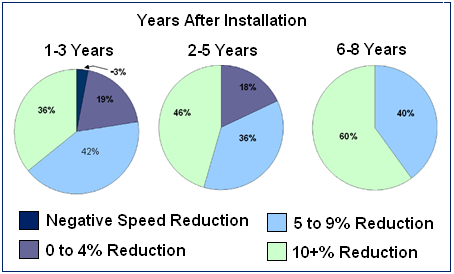 Homeowners are installing residential photo-voltaic which is further reducing demand during the day. Given that there is already too much supply it is somewhat difficult to argue for a very large capital expenditure in the short term to switch to geothermal. Another issue is that lack of inter-connection between the islands. There have been a few different feasibility studies into laying a submarine electricity transmission cable and although some of the channels are quite deep and plagued by strong currents it seems technically possible. The cost, however, is a bit daunting –at least $1 billion. But there is another significant problem that I certainly would never have thought of. Hawaii has a very large requirement for aviation gasoline, not only to refuel aircraft that have dropped off joyful tourists in the Aloha state but also to refuel aircraft that are stopping over in Hawaii only for that purpose. Of course Hawaii also needs automobile gasoline and lubricants so it makes the most sense to import crude oil and refine it into the different petroleum products locally. There are two oil refineries in Kapolei on the island of Oahu to do that. One unpleasant fact about refining crude oil is that once you have separated out the more valuable products such as jet fuel, gasoline and motor oil you are left with a very dense and viscous product referred to as “residual oil”. In Hawaiian refineries this residual oil makes up about 25% of the input crude by volume. There’s not much you can do with residual oil. But one thing you can do is burn it in electricity generating stations. If you reduce or eliminate the burning of residual fuel oil you have to find something else to do with it. Not an easy thing to do when you are in the middle of the Pacific Ocean. Taking everything into consideration it is no wonder that development of geothermal energy has been slow. Utility scale wind is running into many of the same headwinds being faced by geothermal. 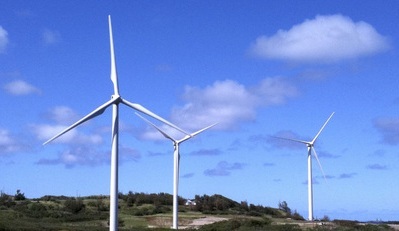 The Big Wind proposal would see hundreds of wind turbines built on the islands of Molokai and Lanai with a total rated capacity of approximately 400 MW. As with Big Island geothermal, this proposal would also require the laying of expensive submarine cables. However, unlike geothermal, wind is not a reliable base-load generation source and the actual average output of wind farms is typically only 20-30% of rated capacity. The variability of this much wind generation would also be very problematic given the small size of the Hawaiian grid. Turn the CSP projects on Lanai and Molokai into true “Black Swans” by incorporating desalination capabilities into these plants. A reliable fresh water supply would open up new possibilities for agriculture and tourism on these relatively arid islands. Continue to encourage the installation of residential PV but reduce the Feed-In-Tariffs (rate-payer subsidies) significantly over the next five years. Too much PV will lead to instability in the grid and ratepayer/taxpayer subsidies are better directed towards geothermal and CSP projects. Investigate new uses for the residual fuel oil that will no longer be needed including the potential to upgrade it to more valuable petrochemical products. These initiatives will not happen quickly and there will be very significant capital costs. But in the end Hawaii could be a model for the rest of the world – a demonstration of how investments in overcoming significant obstacles can lead to a sustainable energy future and lower costs over time. I have visited Hawaii 7 times in the last 25 years and have enjoyed the Aloha spirit on each and every trip. But it would be nice to turn on the air conditioning without having an image of an oil tanker pop into my head.